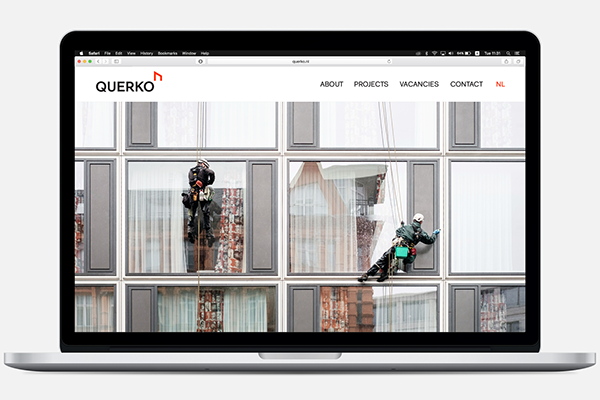 Maintenance group with a mission. 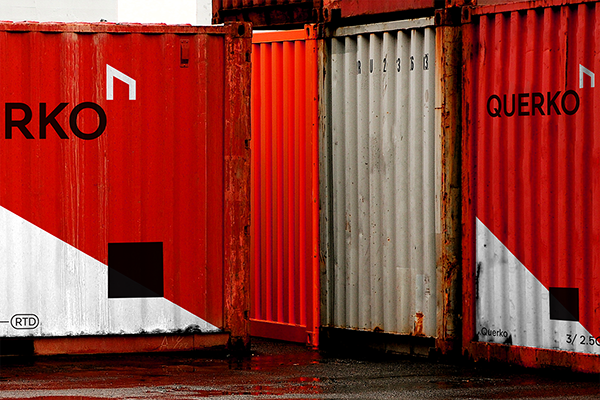 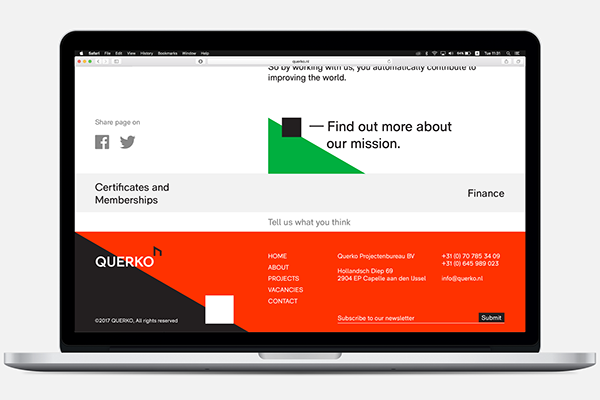 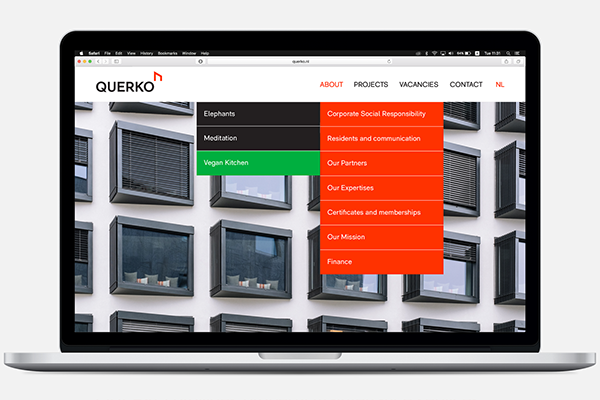 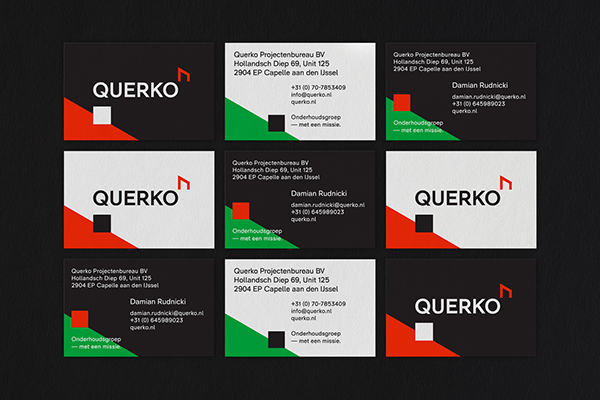 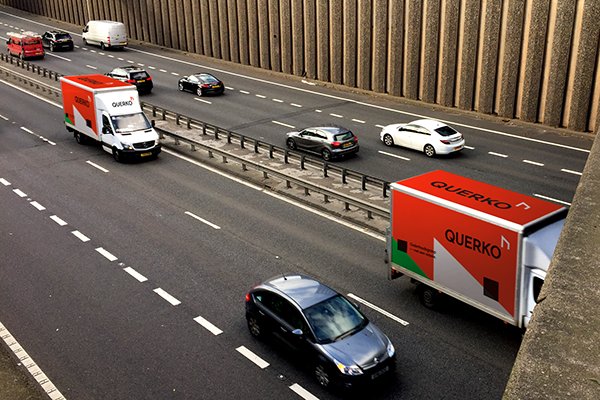 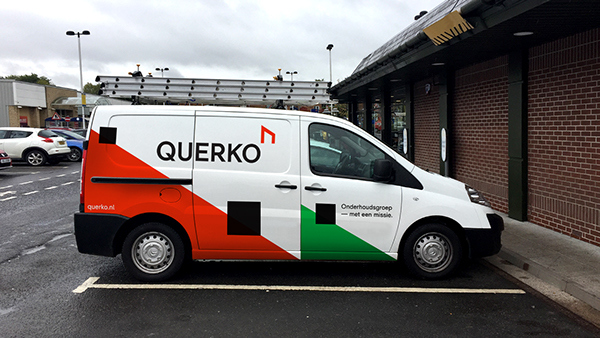 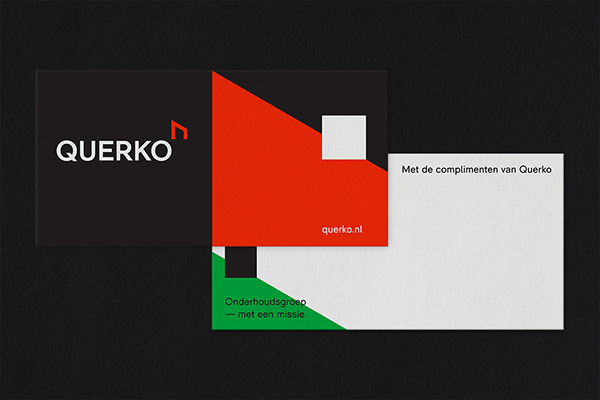 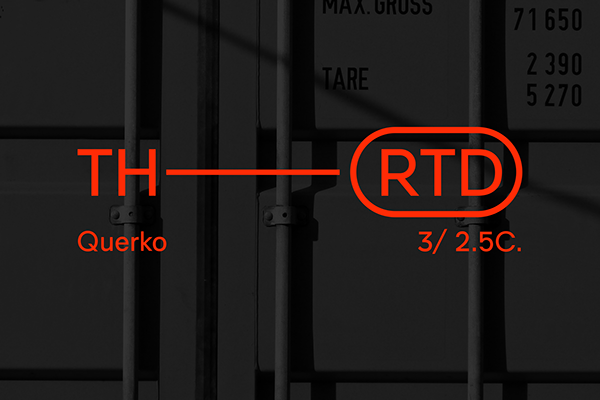 Querko is a new company in the sector of renovation and maintenance, located in The Hague, NL. 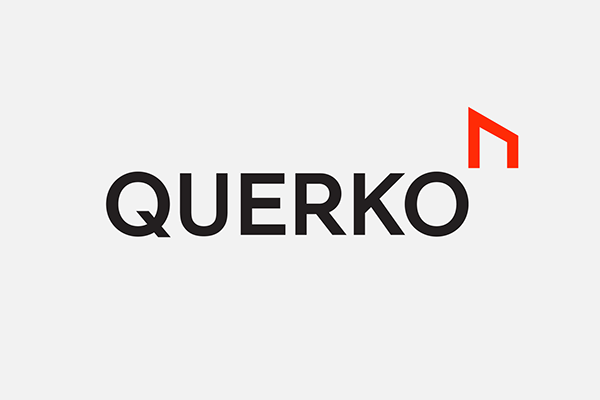 Strongly believing in the impact all of us have to the world, they initiated Green Querko, a foundation for the support of environmental causes. 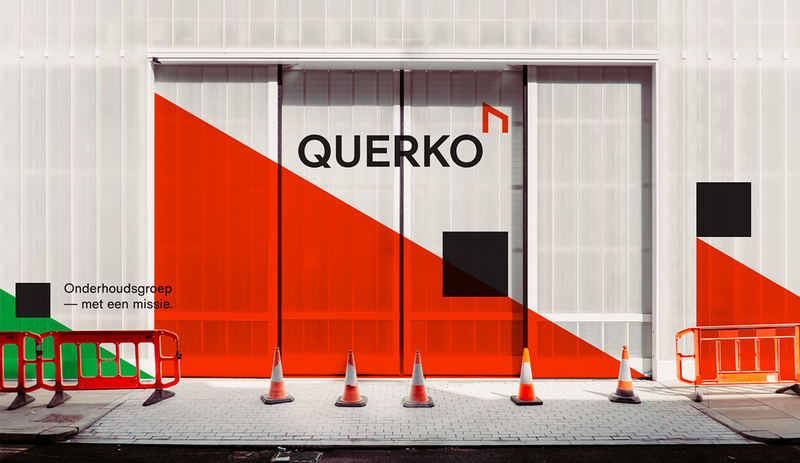 The design follows a clear geometric approach, where various shapes form several spaces and perspectives. 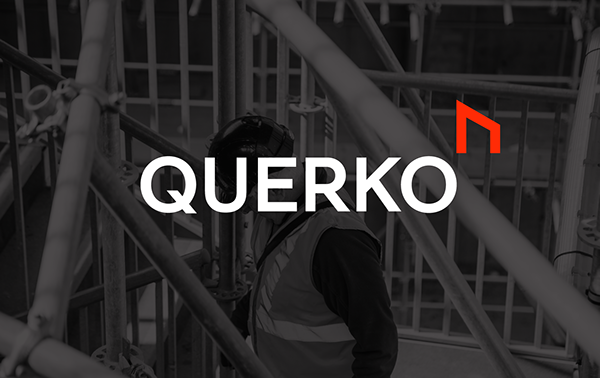 The basic element is the sharp inclination, deriving from the logo, which is a slight alteration of the uruz rune, a glyph related to the company’s heritage.